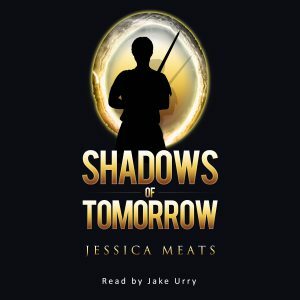 Shadows of Tomorrow, the first instalment of the Shadows of Tomorrow trilogy, is now available as an audiobook from Audible, read by Jake Urry. This is the first time one of my books has been converted to an audiobook and I’m really excited about it. It’s been an interesting process, from listening to audition samples, through freaking out because the narrator pronounced one of the names differently from how it sounds in my head, to getting the final audio files. It will be interesting to see how the story is received in this new format. If you want to get a copy of the audiobook, you can head over to Audible to buy it. If you haven’t used Audible before, you can sign up for a 30 day trial and get a free audiobook download – which could be Shadows of Tomorrow. If you want to get news about new books as soon as they come out, don’t forget to sign up to my mailing list. I’ve got a few quick announcements for you. Firstly, I’ve mentioned in a previous post that my short story Reading Between the Lines will be included in the Mischief Corner Books quarterly. Well, that quarterly is now available. You can get it now on Amazon. My second announcement is that one of my novels, Shadows of Tomorrow, will soon be coming out as an audiobook. The publisher has sent me the first lot of audio files for approval. I don’t have a release date for the audiobook but watch this space. It should be fairly soon. My final announcement is that I will be going on holiday next week. I’m not sure what the internet connection is going to be like at the hotel I’ll be staying at, so the blog will be taking a brief pause. I’ll probably start posting again on Saturday 10th September. 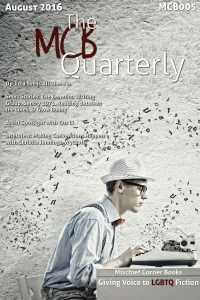 Later this month, Mischief Corner Books will release their next quarterly and one of the stories included will be mine. Reading Between the Lines is a little different from what I usually write, and not just because I very rarely write short stories. It’s a contemporary romance about two boys falling in love as they argue about books – one likes sci-fi and the other reads classics. I got to have fun with references to some of my favourite books in their debates. Overall, it’s a very light hearted piece (though it touches on a couple of dark issues in places) and the editor described it as “very sweet”. As I said, it’s different from my usual work but sometimes the inspiration hits and you just go with it. I will be posting a pre-order link when it becomes available and adding it to my books page.